Response times can be the difference between life and death in the event of a health emergency. In general, the faster treatment can be provided, the better the chances of survival but the patient’s condition at and prior to arrival of emergency services has an even greater impact on survival probability. In short, identifying when an individual requires assistance is every bit as important as how long it takes that assistance to be deployed. This of course assumes that we must always be reacting to emergencies, rather than being in a position to predict them. Healthcare spending is being actively managed, focusing on reducing expense without compromising on the quality of services. This shift is encouraging service commissioners to exploit technology-based solutions that curb the need for costly spending. In addition, we can see increasing demand for precision and evidence-based medicine and for patient personalisation of delivered services. 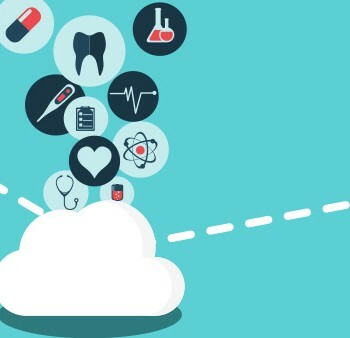 Advanced analytics may have a compelling value proposition as a key component in addressing the changing needs of health and social care now and into the future, facilitating service delivery that is more timely, better planned and more predictive than reactive. 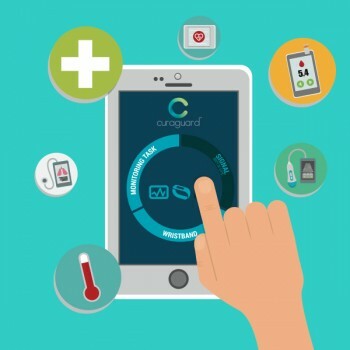 CuraGuard’s 24-hour monitoring window enables real time analysis of an individual’s current versus historic vital signs, a keystone capability that affords the possibility of detecting emergencies on the road ahead and allocating appropriate resources in advance. The technical term for this capability is machine learning but we like to call it predictive analysis. Your heart rate and temperature fluctuate through the day, driven by your activity level, along with your physical and emotional condition. These fluctuations form patterns that CuraGuard analyses in real time, immediately comparing current against historic data, clearly reporting deviations from established patterns over time for further interrogation, with variable monitoring intensity. In this way, deterioration in an individuals’ condition has a far greater likelihood of being detected, reported, diagnosed and receiving appropriate treatment prior to an emergency arising. Of course the longer you are protected by CuraGuard, the deeper its pool of knowledge about your daily activity cycle and vital signs, meaning that the longer it helps to keep you safe, the more effective it is at keeping you safe. CuraGuard can help shift the balance of intervention towards one of prediction, rather than reaction. Can care homes improve outcomes and increase efficiency? Shared Medical Records: what are they and can they help you?